Want a super fun way to shake thinks up and bond with your family? Take on a challenge together! The key to a successful challenge is to set a time limit (a week, a month, a year), set the rules of your challenge, keep a record of your accomplishments, and celebrate the final completion of your challenge! 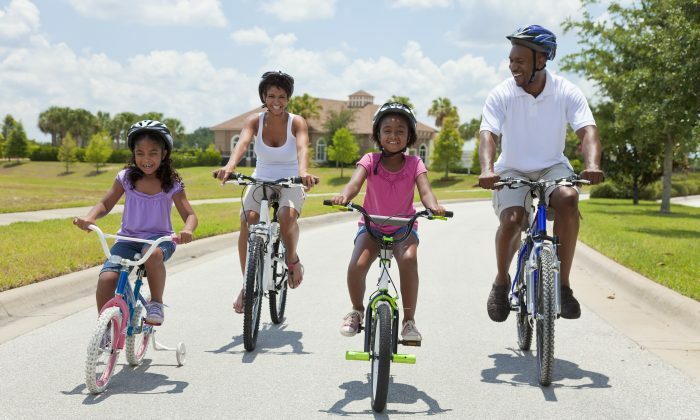 Here are ten fun challenge ideas to consider for your family. Ready. Steady. Go! Define a fitness activity or routine that you’ll do regularly (3 days per week, 5 days per week, daily) for a month. Do the activity together or separately (with encouragement from one another). Check off completions on a chart for the duration of the month. If, at the end, everyone successfully completes the challenge, celebrate together! You may also want to measure changes in weight, BMI, or other fitness milestones as you go. Each day for a set period of time, perform a daily act of kindness. You may choose to perform these anonymously or otherwise. Work together to decide on the impact you’d like to have. Mark your calendar upon completion of your act each day. Celebrate the successful completion of your challenge when you’re done. Is your family up to this one? Stock up the pantry before the month begins and aim to spend $0 as a family, outside of household bills, of course. Can you do it? No coffee on the go, no impulse buys, no drive through windows, and no online shopping. Check off each successful day completed without spending any money! This challenge would be a great one to couple with a savings jar you add to each day. Celebrate your success (and discuss what you’ve learned about your own spending habits) at the end! Dive into a challenging and fun book together! Set reading goals and discuss the book as you go along. Perhaps hour celebration at the end could involve watching the movie version of the book (if applicable) or visiting the place the book was set in. An especially good challenge for November leading up to Thanksgiving, challenge your family members to record one thing every day they are grateful for. Write it down and display your collection of blessings for all to revel in. A wonderful way to celebrate your completion of this challenge would be to be a blessing to someone else. You could deliver a meal to someone in need or volunteer at a soup kitchen as a family, for example. When life gets busy the home can get messy. Breaking down the task of cutting the clutter into smaller tasks can reduce overwhelm and improve your home environment significantly. For a period of time, challenge your family to complete one small tidying up task a day. Perhaps it’s organizing a drawer, returning all of the shoes to their rightful place, filling up one garbage bag for donation, etc. Perhaps you’d like to celebrate the completion of this task with a garage sale! Receiving a hand-written letter has become a special experience, given the obvious advances in communication technology. Challenge the members of your family to brighten someone’s day with a hand-written note sent through the mail each day for a period of time. This is a great way to have children practice their writing skills and think of others. It’s also a wonderful way to reach out to someone you haven’t spoken to for a while or say hello to those you know who live alone or would simply enjoy this. Bust out of the same old, same old by challenging your family to try something new every day for a set time. Whether it’s a new sport, a new skill, a new restaurant, or a new food, test those comfort zones and try new things together. A challenge you may wish to stretch over a long period of time, challenge your family to take a picture (or a video) a day. Perhaps you’ll be inspired to share it publicly in social media for accountability. Regardless, celebrate at the end by compiling what you capture into a video montage, slideshow, or scrapbook. Do you have other ideas for a family challenge? Share them in the comments below!